I remember sitting on the mauve carpet of my bedroom in front of my boombox, patiently waiting with one finger poised above the tape deck’s red RECORD button. As soon as the radio DJ finished their boring spiel and “my song” came on, I jammed that sucker down and silently congratulated myself on yet another score for my mixtape. I was in fifth grade and this tape was a very big deal. iTunes wasn’t going to be a thing for several more years, our shared home computer probably just barely had a CD drive, and anyway that was my dad’s realm. All I needed were the sweet, sweet jams on Y-98 FM. To me, the importance lies in both the right-now-ness as well as the process of creating a collection of faves – whether on tape, CD, iPod, or Spotify playlist. 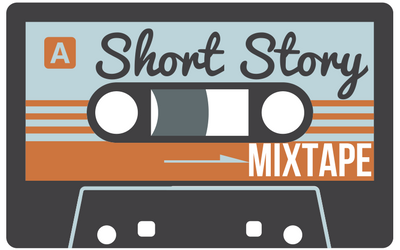 It makes me wish it were possible to make a “mix” of other forms of media, and what I’d really love to have is a short story mixtape – a personal anthology of the short stories that spoke to me at a particular point in my life. Over the past couple years I’ve found some amazing contemporary short story writers, almost all of whom happen to be women and (sadly) none of whom I’d heard about in school. Their works seem to be found in their own published collections or in some niche anthologies, and I’d love to cherry pick them into my own short story mixtape. In lieu of photocopying each one and sticking ‘em in a three-ring binder, I’ll list them here for you, including where to find them and a very brief description (like liner notes on the fancier mixtapes). “The Water Museum” by Nisi Shawl - A man comes to murder a woman and is instead taken on an unexpected journey. Do not mess with the keeper of The Water Museum. “The Knowers” by Helen Phillips – Would you want to know the exact time of your death? A couple tries to find out if their final moments really are. “Patient Zero” by Tananarive Due – The diary of a child isolated from the world because of an incurable and unknowable disease. Apocalyptic creepiness at its finest. “Sorry Doesn’t Sweeten Her Tea” by Helen Oyeyemi – Bizarre and surreal is Oyeyemi’s jam. This is a revenge story that will leave you smirking. “The Future Looks Good” by Lesley Nneka Arimah – Begins and ends with a woman innocently trying to find her keys to her apartment, and in the middle there’s an entire family saga condensed into a powerful little punch. “Love Medicine” by Louise Erdrich – Chapter from a novel? Story from a linked collection? Regardless, Erdrich sweeps you into an Ojibwe community filled to the brim with love and loss. “Children of the Sea” by Edwidge Danticat – A back-and-forth co-narrative by two lovers separated by sea and by revolution.